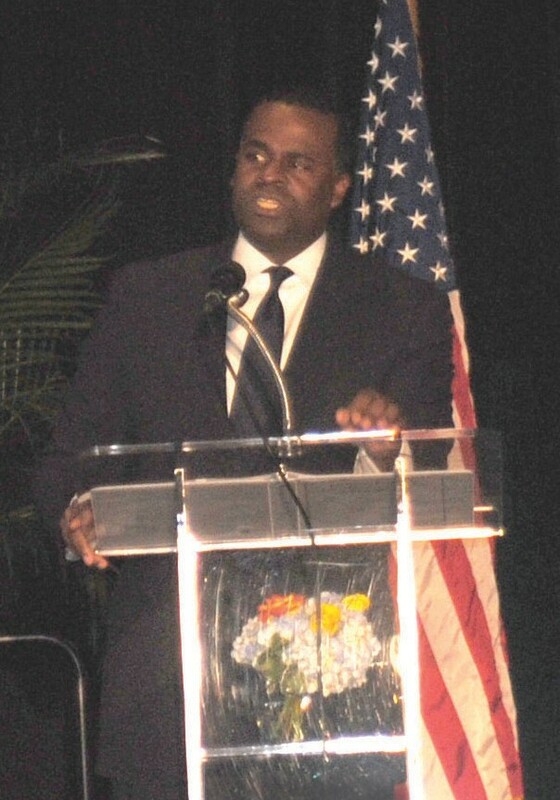 The Savannah Economic Development Authority (SEDA) hosted its annual meeting and luncheon on Thursday, May 23 at the Savannah International Trade and Convention Center with the dynamic and charismatic keynote speaker, Atlanta’s Mayor Kasim Reed. The luncheon was composed of the Coastal Empire’s most influential and highly involved community members. The main focus of the luncheon was to recap SEDA’s productivity for the previous year and for Mayor Reed to enlightened Savannahians on the current status of the funding for the Savannah Harbor Expansion Project. “Now the Water Resource Development Act, currently in the House con- tains language to authorize the spending levels needed,” said Reed. 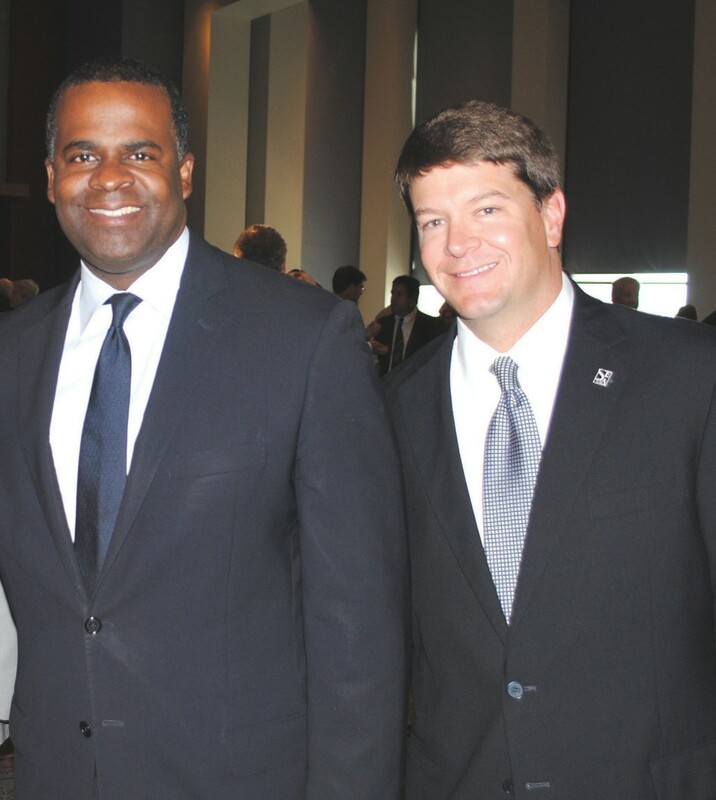 Atlanta Mayor Kasim Reed and President/CEO of SEDA Trip Tollison. Also presenting at the luncheon was SEDA board chairman David Paddison who recapped the year. The most significant change was the unanimous appointment of Trip Tollison as president and CEO. “Trip is absolutely the right person for the job and we feel fortunate that he has agreed to lead us into the future,” Paddison said. As for the year’s accomplishments, Paddison announced the business retention team broke a SEDA record with 101 visits to existing industry. “There is a tremendous amount of follow-up work that goes along with each meeting, sometimes going on for months. With only 252 working days a year, that is an astonishing number. And they are on track to break that in 2013,” he said. The business attraction team worked on 58 new projects that lead to 11 announcements and expansions in 2012. Those were Arizona Chemical, Dollar Tree, Gulf States Cold Storage, Great Dane Trailers headquarters, JodyJazz, K-Machine, LMI Savannah, N.E.T., Nordic Logistics and Pallet Consultants. In late 2012, the authority launched SEDA Innovations, an effort to attract capital investment to the region, Paddison said. SEDA has joined with the Savannah Area Chamber of Commerce and the United Way to commission a workforce study that will identify strengths, weaknesses and shortfalls. The World Trade Center Savannah, an affiliate of SEDA, had an active first year. Scott Center, vice chairman of the new organization said “Our team has hosted 49 international delegates from 17 nations, created 11 customized country and industry reports for businesses and government partners and completed in-depth research to determine five target countries and five countries of interest for our proactive marketing and sales efforts in 2013.